A number of crypto miners have the believe that Litecoin mining is less lucrative in comparison to mining other digital currencies. 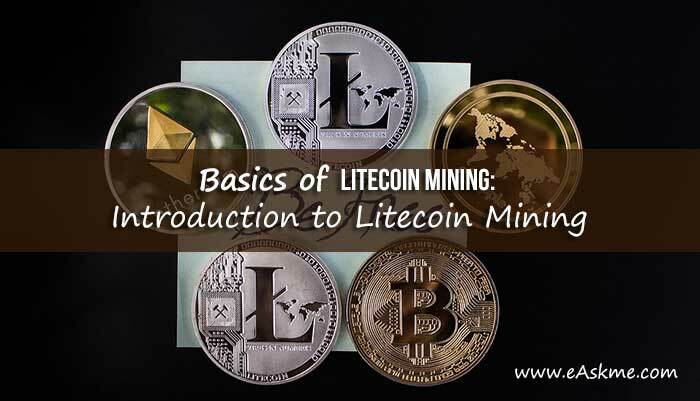 However, with the current move in Litecoin network, there are possibilities that Litecoin mining would become very profitable in the long-run. What exactly is Litecoin Mining? Litecoin mining is simply the method of mining Litecoin by detecting the next hash in a block that satisfies certain conditions using the mining equipment. The mining units, which are either a series of graphic processing unit (GPU) cards or an Application-Specific Integrated Circuit (ASIC) is used in testing hashes in the block and also its transactions against a target. Litecoin mining differs from Bitcoin mining in that Litecoin utilizes the Scrypt mining algorithm. Hence, Litecoin mining is also called Scrypt mining. Scrypt mining algorithm is very simple and fast for hashing and block calculating. Scrypt was originally created for Litecoin to protect the cryptocurrency against specialized ASICs miners. Nevertheless, some processors were created after a period of time. These processors generate Scrypt hashes more effectively. Nowadays, GPU devices can still be used for Litecoin mining, however, the GPU miners will produce a very low reward. Litecoin mining doesn’t work as a procedure that guarantees results. Instead, Litecoin miners strive to detect the next hash in a block in the Litecoin blockchain. Miners who detect the complex mathematical solution required by each block receive rewards. Presently, the reward is 25 LTC. However, this reward drops by half every 4yrs, as at press time, the reward will drop less than a 2yr period. Blocks are calculated on the Litecoin network in every 2.5mins. Hence, each miner has an opportunity to discover a new block every 2.5mins, whenever they compete with other miners. However, till date above 60% of the total Litecoin supply have been calculated. Whereas, Litecoin has only about 84 Mln mineable coins. To commence Litecoin mining, a prospective miner must purchase the LTC mining unit. The units can either be the latest Scrypt ASICs or the GPU card miners. The best and most efficient mining unit available currently to LTC miners is the Bitmain Antminer, the L3+ version of the Antminer was created to run with the LTC algorithm. The next step is getting a safe place to keep the mined Litecoin. This is achievable by downloading the official LTC wallet from its site. The public key obtained from the wallet is sent to either the LTC mining software or the LTC mining pools in order to receive the mined Litecoin directly into the wallet. However, never mind, but ensure that your wallet is encrypted from inception. More so, it is advisable that new miners should avoid joining the largest Litecoin mining pools, as they do not guarantee quick and better rewards.